I have a finite population (H) of animals with a known number of GPS collars (C). If I take a random sample of (M) animals, the probability of a given number (X) of GPS collars being in the sample is calculated using a hypergeometric distribution. This is the classic "urn problem". However, what if the number of animals sampled from the herd is unknown, and I can only see the number of GPS collars in the sample (X). How can I derive a 95% confidence interval for the number of animals in the sample (M)? I figured it out using the hypergeometric distribution and Bayes equation. 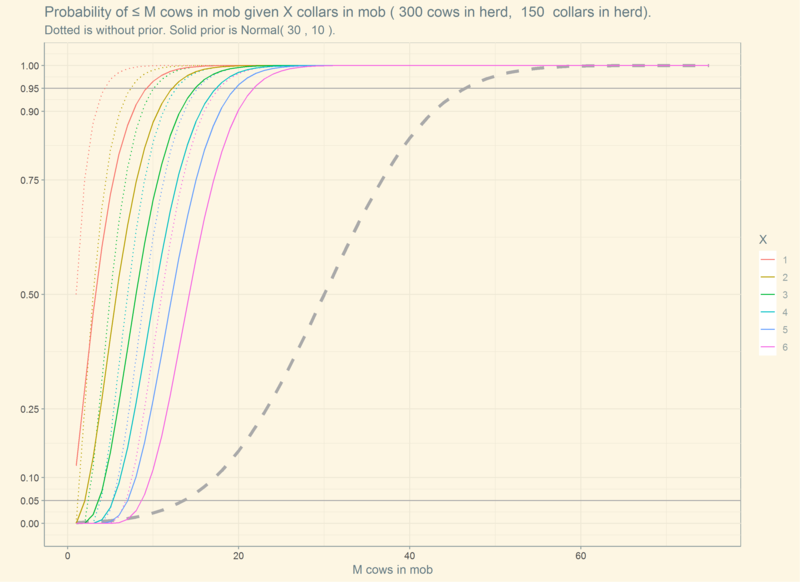 # part 1 - how many collars do we need to ensure N in a selected mob? 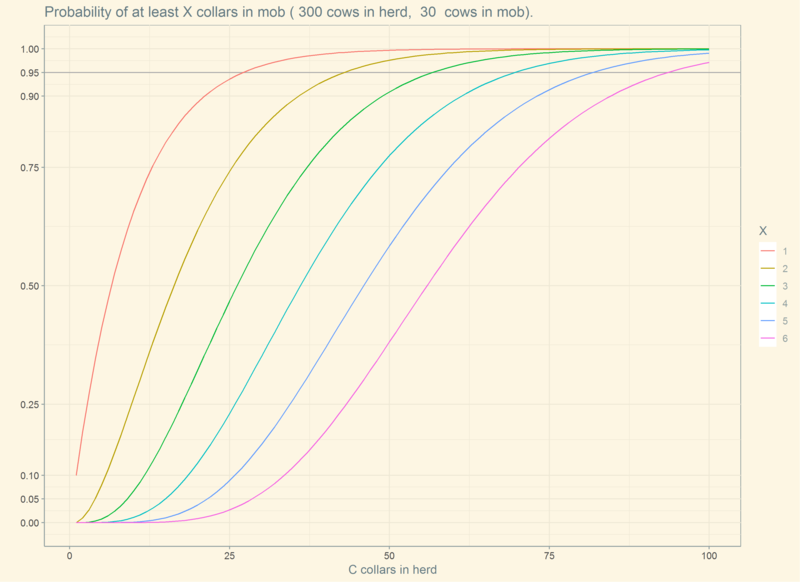 # part 2 - confidence interval on how many cows in mob from number of collars? How to construct confidence limits based on small stratified samples of finite populations?